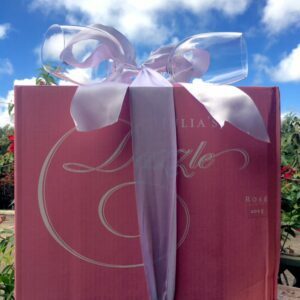 Would your Mom rather have a bouquet of roses that last a few days or a dozen rosés that can last a few months! Give the gift that keeps on giving this Mother’s Day. For a limited time only, we are offering a case of Julia’s Dazzle Rosé (12 bottles) plus two glasses for only $250!